It's on! Despite the hurricane, we got official word that Ignite in Orlando is a go! Thanks to the efforts of the amazing workers in Florida, the convention can proceed as expected! Collabware is excited to exhibit during Microsoft Ignite 2017, September 25-29 at the Orange County Convention Center in Orlando, Florida. Please register and join us, along with 30,000 business & IT professionals for a week filled with 1,000+ hours of content, 700+ sessions, workshops, and great discussions! 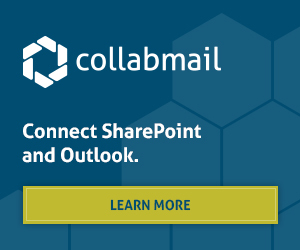 Come by the Collabware booth (#2149, next to the Eatery in the expo hall) as we launch our latest product, Collabspace, along with live back-to-back demos on how Collabware solutions can help you extend Microsoft products to increase employee productivity and ensure organizational compliance requirements are met through our automated records management tools. See firsthand the tech of tomorrow and the innovators behind them. Consult with experts and network with peers to discuss common challenges and share ideas in this intensive, jam-packed summit of the Microsoft tech community. Find the Microsoft Ignite Sessions here. Register for Microsoft Ignite tickets here.